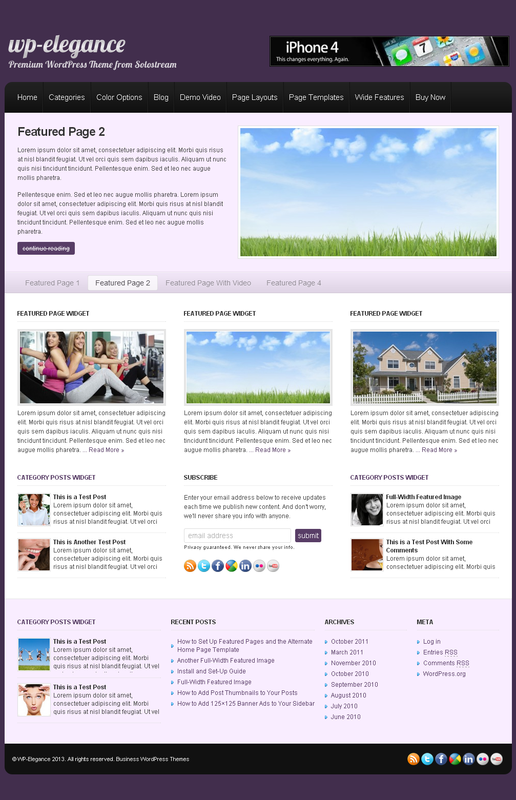 With time, this theme has also become popular to many webmasters as well as bloggers. With this theme, you also get a powerful theme settings panel, which make it very simple and faster to customize the look and feel with just a click from your computer’s mouse.Not to mention, the multiple post and page layouts that can be controlled on a post-by-post or page-by-page basis. The theme has a 10 built-in color option that is easily modified via the theme setting page, multiple featured content modules and multiple built-in banner ad space.